We rate and review the best hammock tents for a comfy new alternative to camping and backpacking. Now is the time to spend a night snoozing in a hammock. 1.4 Amok Equipment Flat Lay Camping Hammock with Mosquito Net and Suspension Kit. Portable Hammock for One Person that can be turned into a Chair. 1.14 Where will you be using it? Camping has never been so purposeful and enjoyable, thanks to the availability of a broad range of hammock tents that have been designed to suit all manner of needs. If you are the kind of person that kicks back in a hammock by an alpine lake with a coffee or a cocktail, you are an evil genius!! If not, this is your chance to be a genius as we have done extensive research to bring you the best recommendations that the market has to offer. 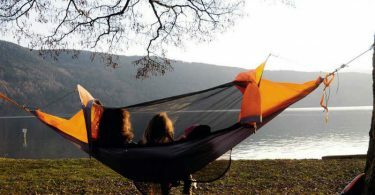 We have also compiled a buyer’s guide to help you invest in a hammock tent that’s high quality and most importantly, Meets Your Needs. Comfortable and versatile camping hammock. Plug and play suspension system included. Supports up to 400 pounds. Comfort and durability at an affordable price. Snaps closed under the weight of your body and seals with velcro. About the size of a queen size bed and comfortably fits two people. Ultra-Light Hammocks: The main emphasize of these is compactness and lightness. They come in a wide variety of light materials and the best option if you are looking for something that you can take on a fast, light backpacking trip. They are not as durable as parachute hammocks; They Are The Ones To Choose If Your Biggest Priority Is Weight. Parachute Nylon Singles: They are durable and have a bit of stretch that makes them very comfortable. You can spend a few nights in one of these without worrying an aching back. Parachute Nylon Doubles: They are like the parachute nylon singles in every way, with the only difference being that they can accommodate to two people comfortably. They are wider, making them the better option for camping in cold conditions where complete coverage of your legs and shoulders is a priority. Expedition/Backcountry Hammocks: Made from high-denier nylon, these tents come with extra features such as bug nets as well as guy lines for creating extra space inside. Many high-end hammock tents fall into this category. 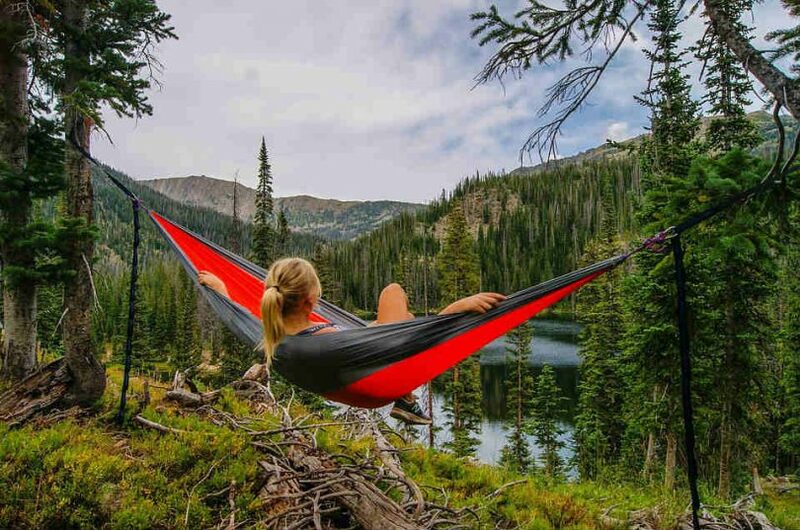 Hammock camping is a relatively new concept that many ​outdoor Enthusiasts are just catching up on.With the hundreds of options out there, making a choice on what's best for you can prove overwhelming. That is why we are – to make things simple. This list of the ten best hammock tents is a step towards an easier purchase process. Nothing takes the fun out of camping like mosquitoes and bugs. This hammock is an answered prayer to anyone who detests insects. This jungle tent comes with safety measures to protect you from bothersome bugs. The size of the hammock tent means that it can accommodate more than one person comfortably. It also passes as a single person tent as it’s available in sizes that are designed for one camper, making it suitable for those who prefer the serenity of their company. Hammock camping is a relatively new concept that many Outdoor Enthusiasts are just catching up on. With the hundreds of options out there, making a choice on what's best for you can prove overwhelming. That is why we are – to make things simple. This list of the ten best hammock tents is a step towards an easier purchase process. Amok Equipment Flat Lay Camping Hammock with Mosquito Net and Suspension Kit. Portable Hammock for One Person that can be turned into a Chair. Amor Equipment is a Norwegian based company that is known for its innovative camping and hiking products. The Amor Draumr Camping Hammock is one of its most popular products. If ever there was a product whose design paid attention to all the details, this is it. The setup is incredibly streamlined thanks to color-coded carabiners and a cinch buckle system that makes the adjustment of the straps easy. It comes with a small hex tarp that is specially designed to fit the small length of this tent. It doesn't work without a pad, and as such, you may have to invest time and money to find the right pad for this hammock. It comes with zippered hideaway bug netting that protects you from mosquitoes at night. One of the main disadvantages is that getting in and out of the Draumr takes some practice. All in all, it is one of the most thought out and well-designed hammocks on the market. The fact that it comes as an all-in-one kit is a bonus for outdoor enthusiasts who love compact gear. If you are the kind of camper whose prime interest is having efficient camping gear that passes for accommodation and housing as well as is articulated for other aspects of camping like flytraps, waterproof capabilities, safety and backpacking, the Lawson Hammock Blue Ridge Camping Hammock is what you should invest in. The tent is waterproof to protect you from harsh weather conditions.Features include unique arch poles that allow for the full spread, strong bar system, a containing backpack that accommodates the tent when not in use, customized hammock bug net, and attached no-see-um netting bug. This hammock tent also comes with a one year warranty and return policy deal.Setting up is easy and its flexibility and light weight make it a great option for light backpacking trips. For more on this hammock tent, be sure to watch this. For a paltry sum, you get an incredibly easy to set up hammock and with a few accessories; you transform it into heavy duty winter camping gear. It has a weight capacity of 400lbs and has enough space to accommodate two people comfortably. It features tough triple stitching for added durability as well as a breathable nylon bottom. It comes with stainless steel snap links, wire gate closures and nautical-grade tie lines offer the additional strength that many traditional hammocks lack. The main disadvantage with the Eagles Nest Outfitters Doublenest is that in order to be suitable for cold weather, one has to get the insulation separately. The same is true for bug nets and rain flies. This is a lightweight, introductory hammock made from polyester. While it is not the best for backcountry camping, it is a great option for those on a budget. At 12 oz, this is also a viable option for an ultra-light backpacker. On matters of comfort, the Grand Trunk Ultralight Hammock is long enough to accommodate campers who are 4'6" wide and 9'6" tall. It doesn't come with straps or accessory cords. As it is made from polyester, it's not the best option for cold, wet weather conditions.In addition, it doesn't provide much protection against bugs nor can it fit two people. It comes with two light ‘S’ hooks that make setup easy. While it is a great budget choice, this is not something you want to solely rely on if you are going on a long backpacking trip. If you are the kind of person that prefers the wild expedition of camping out in terrestrially challenging places,The Hennessy Hammock Expedition Asym is what you should be looking to purchase. The reason is that it is specially designed to articulate the tough conditions and offer a night of comfort and serenity. You can safely and firmly erect it anywhere as long as there is anchorage on the ground. The tent has a maximum weight capacity of 250lbs, making it ideal for a variety of body sizes. It comes with ten ropes that you can use to suspend the top and mid sections for a firm structure. The fabrics used to make this hammock tent include 210D oxford nylon and 70D polyester polyurethane, both of which combine to make it highly durable. It has room for additional cot beds and overhead bed suspensions. The parallelogram-shaped floor allows for 2 additional supporting points. The Hennessy Hammock Expedition Classic is a minimal and comfortable yet incredibly light hammock tent for backpackers.It has an asymmetrical shape, which allows for plenty of sleeping space. It also comes with nice extras including an interior pocket, a bug net and rain tarp that make your camping trip all the more fun.You can choose either the side zip or bottom entry model depending on your preferences.It has a total weight of 2lb 4oz, and if treated well, it can last for thousands of trail miles thanks to its durable construction. The Expedition Classic is designed to hold up to 250lbs of weight and works best for campers who are less than 6 feet tall.Compared to the Hennessy Explorer reviewed above, this one has a higher price tag because of its lightweight construction. If you are planning a romantic camping getaway, be sure to bring along a Clark Vertex 2-Person Double Hammock Tent. It is specifically designed to fit two people with additional space for movement, making it the perfect option for couples. It also comes with reverted triple stitching for potent durability, which is more than can be said for many hammocks. The fully zippered unit offers an extension for those who like to customize a few things to suit their taste. The construction of this tent features a breathable polyester fabric with nylon patch reverting to allow amicable light and air inside. It comes with a specific vertex hammock tent bug net that helps keep the mosquitoes at bay so that you can have a restful sleep. It can fit campers that aren’t more than 7ft tall and weigh a maximum of 250lbs. It has a simple setup takes less than 5 minutes. It also comes with a carrying case, supporting poles to suspend beds, heavy duty top roofing for warmth as well as spacious ground floor to allow for movement. At just 7 ounces, the Grand Trunk Nano 7 is a durable hammock tent made from nylon fabric. It is an excellent choice for anyone whose main priority is to minimize the weight of their backpack. Comfort is the one area where this tent has some ground to cover if it hopes to compete with heavier, bulkier hammocks. You can opt for a sleeping bag to improve the comfort.Nevertheless, it accommodates campers who are 6-feet tall nicely. It comes with wire gate carabiner to secure the ends when setting up. It is a one-person hammock with a limited weight capacity of 300 pounds. Overall, the Grand Trunk Nano 7 is a compact piece of niche gear that can add a lot of fun and excitement to your camping expeditions. If daytime camping with extreme comfort is your goal, the Kammock Roo is a good investment. It is one of the toughest, largest and most luxurious camping hammocks you can find. Built with durable materials, this tent is large enough to accommodate two people comfortably. The main drawback is that it is heavier than most models on this list but then again, increased comfort means more weight. It comes with a lifetime warranty and is perfect for trips to the park, hiking and camping expeditions. It doesn’t come with straps, so you have to incur an additional cost to get them. With so many hammock tents in the market, knowing which one best suits you can be a hassle. What should you look for? What are the factors you should consider? Are there any precautions you should keep in mind? This section of the guide seeks to answer all the above questions and make the search easier for you. The first and most important factor that one should consider when shopping for a hammock tent is where they intend t use it. Bigger and more featured tents are generally best for camping trips. Many of these are wider to accommodate a sleeping bag while others come with mosquito nets to keep the bugs out. If you are looking for something to use for lounging at the campsite, a smaller tent that can fit in your backpack may work best. Your weight and height are the two main parameter﻿s that will help determine whether a hammock tent will be a comfortable fit for you. This is because campers who to reduce bulk in their backpacks may opt for a lightweight option while bigger and heavier people will want to go for wider, more durable models.Generally, the wider and larger a hammock is, the more comfort it offers. This is particularly true when it comes to sleeping hammocks. Quality materials, as well as construction, are important in hammocks. You will get find yourself on the ground in the middle of the night if your hammock lacks both of these. Ensure that you choose products that are built to last such as the ones reviewed above. Do you plan on using the hammock alone, or are you looking to snuggle up with someone else? While two-person hammocks are stronger and wider, they are also heavy. Nevertheless, both single and double hammocks can offer plenty of fun on your camping trips. Most hammock tents are made from either cotton or nylon. Due to its weave, cotton tents tend to feature more attractive designs. However, cotton also attracts water, is heavy and bulky. Nylon, on the other hand, is best for camping trips as it is lighter, repels water and less bulky. Many hammock tents feature a breathable nylon material. However, if you plan on spending the night in cold, wet conditions, consider investing in a tent that comes with handy accessories like top quilts, underquilts and sleeping bags that will help you beat the chilly air. While they are not for everyone, purchasing the best hammock tent can provide one with the ultimate relaxation experience. In addition to the novelty of sleeping as you float above the ground, they offer the most compact and lightweight alternative to expensive sleeping bags. 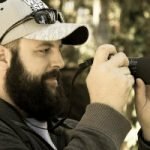 I hope this post with numerous product reviews and a buyer’s guide helps you narrow down the right hammock tent for you. Whatever your needs, ensure that you consider the above factors to make a worthy investment.